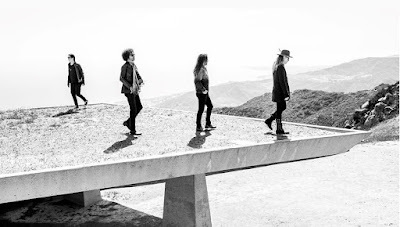 Alice In Chains guitarist Jerry Cantrell is revealing the inspiration behind "The One You Know", the newly-released lead single from the Seattle band’s forthcoming sixth studio album. The band recorded their first album in five years with producer Nick Raskulinecz over the past year at four separate locations, including Nashville, Los Angeles and two in Seattle. “It’s a good record, I wouldn’t say that the rest of the record sounds like that, but that’s a good indicator of what the rest of the record kind of feels like,” explains Cantrell. “There’s a lot of edgy stuff there, a lot of rocking stuff, a lot of weird stuff, and some pretty stuff in there too. The follow-up to 2013’s “The Devil Put Dinosaurs Here”, is expected to be issued later this year, with further details to be announced soon. Alice In Chains are currently playing dates on a spring tour of North America.